"I found a reason to keep living. Oh and the reason, dear, is you"
Showing latest 5 ratings for this track. | Show all 20 ratings for this track. 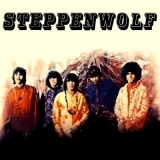 Related links: top tracks by Steppenwolftop tracks of the 1960s, top tracks of 1968.